Read More about Canned Food Drive Provided 1,000 Meals to Families! Read More about Ohio’s State Board of Education Granted Elyria Community the 2017-2018 Momentum Award! Welcome to Constellation Schools: Elyria Community's webpage! 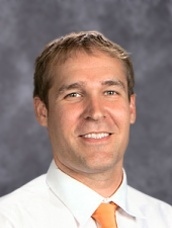 My name is Eric Fortuna, principal of Elyria Community (ECS). My office is located at our elementary location and I work closely with our assistant principal, Tom Flood, who oversees our middle school program. Our school has been in operation since 2001 and serves over 500 hundred students in the Elyria area! As a Character Education school our students participate in various fundraisers, field trips, and programs that teach the importance of being a responsible citizen and contributing members of society. With our website, we will have the opportunity to improve our communication and update our families by posting newsletters, important dates, and other exciting activities happening throughout the year. Please visit often and be sure to contact me with suggestions so we can make improvements and better serve our ECS families and students. Thanks for visiting and we look forward to seeing you in school this year! Welcome to Constellation Schools: Elyria Community's webpage. My name is Tom Flood and I am the assistant principal at Elyria Community Middle (ECM). At Elyria Community Middle, we offer small class sizes to meet the needs of each individualized student. We offer a variety of academic opportunities for our students. We have an accelerated reading class for our above grade level students, along with pre-algebra and Algebra I for our 7th and 8th grade students. ECM also offers students various interventions including Title I services and small group instruction with our intervention specialists. At Elyria Community Middle, we work to develop strong character development with our students through our Character Education Program and our anti-bully philosophy. Our students have the opportunity to participate in extra-curricular activities such as beginning and advanced band, and after school club offerings including 7th-8th grade basketball, computer club, art club, along with many more. Please feel free to contact me at 440-365-0390 or email me at flood.thomas@constellationschools.com to take a tour and learn more about Constellation Schools: Elyria Community Middle!